Is it time to eat? 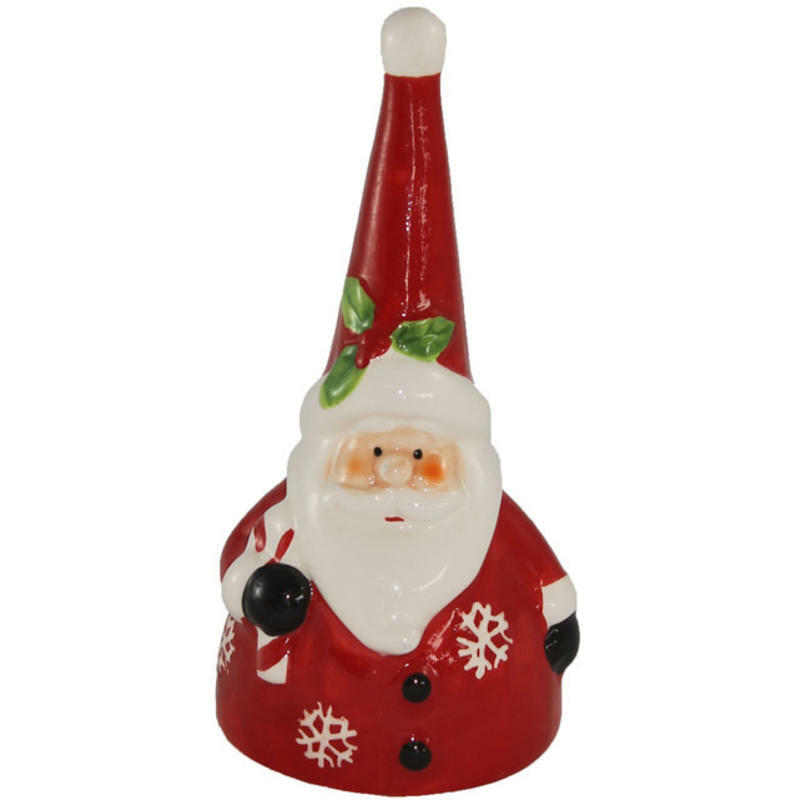 This charming ceramic Santa Dinner Bell will keep everyone informed as to when it is time to come to the table for a meal. 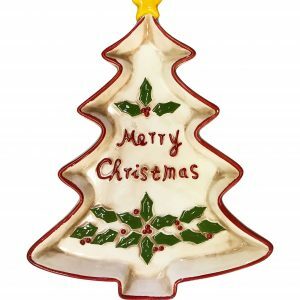 Measuring around 8cm wide by 15cm in height, this bell is a great piece to add to your collection of bells or fine ceramic figurines. 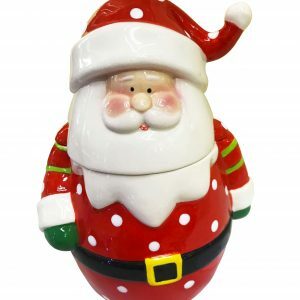 It depicts Santa, in a whimsical and contemporary way, and is vibrantly glazed in traditional colours of red, white, green, and black. 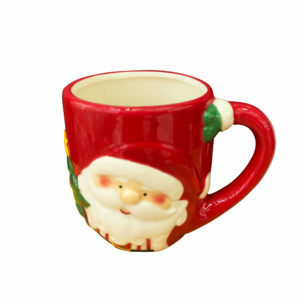 Santa has the sweetest face, with his rosy cheeks and round little nose, as he offers a candy-cane with his mittened hand. This is a great gift idea for many people on your holiday gift-giving list, including friends, neighbours, and co-workers, but don’t be surprised if you find it difficult to part with this festive little bell. 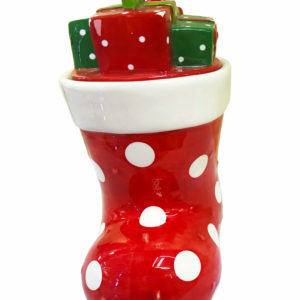 This is a sweet ceramic accent that you will use time and time again.